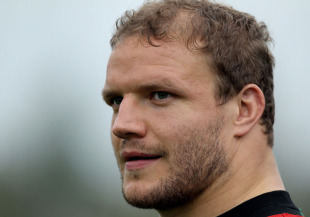 Worcester Warriors' season appears to have taken another turn for the worst with the news Euan Murray is facing an extended period out after suffering a bizarre thump injury at a team barbecue. The Worcester News is reporting the veteran front-row injured his hand while chopping wood at a recent team-building BBQ at Sixways stadium, apparently sustaining significant damage. The news is a further blow to Worcester - who have won just twice all season - as Murray is the club's marquee player whose wage is exempt from the salary cap. Murray has not featured for Worcester since suffering Achilles tendon damage for Scotland in the autumn internationals, an injury which meant he was not considered for the upcoming Six Nations. However his most recent setback looks likely to rule him out for the rest of the domestic season as well, a massive blow for a Worcester side facing a monumental battle to avoid the drop. Director of Rugby Dean Ryan is left with just John Andress and Rob O'Donnell to fill the Scot's boots.